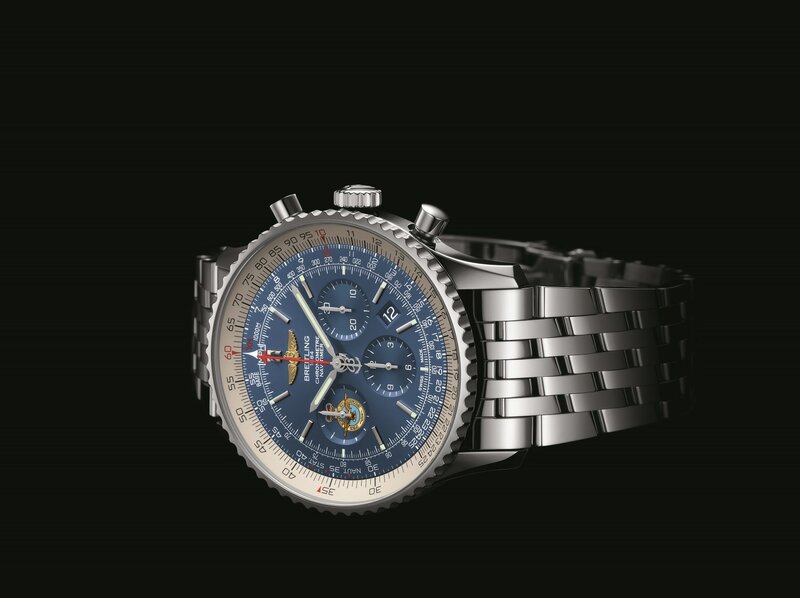 A pioneer of pilot’s watches, Breitling has a rich heritage and an enduring association with the Royal Air Force and has launched a Limited Edition Collectors Series featuring its iconic pilots watches, as a tribute to the Royal Air Force on the centenary of its federation and marking the historical affinity of both brands. All four timepieces in the series adopt a distinctive interpretation inspired by the RAF, realised with inclusion of the RAF crest on the dial and engraved case-bock exhibiting the commemorative RAF100 logo alongside the unique edition number of each piece. Senior Buyer of Luxury Watches for Watches Of Switzerland, Lisa Broun, shares her thoughts on the latest pieces. The RAF100 Navitimer 1 BO1 Chronograph 46, released in an ultra-limited 25 piece collection, boasts an exclusive interpretation, bearing the official Royal Air Force crest in a rare execution within the sub-dial at 9 o’clock. An aurora blue dial reminiscent of RAF colouring is offset by a red sweep-seconds hand, sporting a unique aircraft-shaped tip. 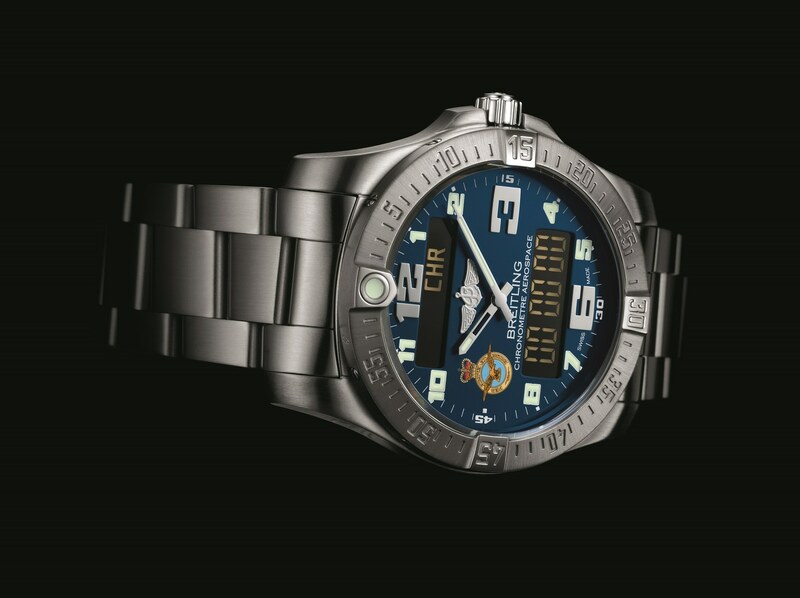 On the reverse, the engraved case-back exhibits the RAF100 logo alongside the unique edition number of each timepiece. Launched in 1952, Breitling’s Navitimer chronograph is one of the great 20th century watchmaking classics that remains an icon to this day: with a circular slide rule the design incorporates form and function, serving to handle all calculations relating to airborne navigation whilst retaining an elegant design. 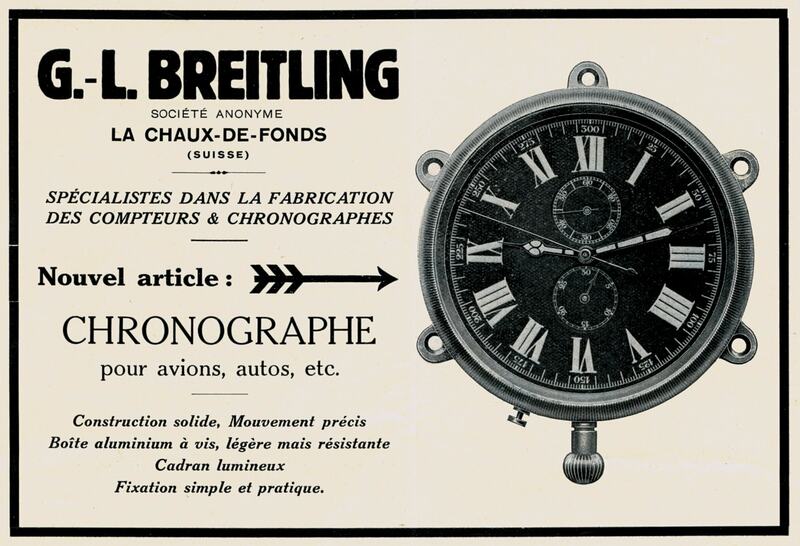 The timepiece features the manufacture Breitling Caliber 01, a high-performance self­ winding chronograph entirely developed and produced within the Breitling Chronometrie workshops and chronometer-certified by the case [Swiss Official Chronometer Testing Institute] – the highest benchmark in terms of precision and reliability. 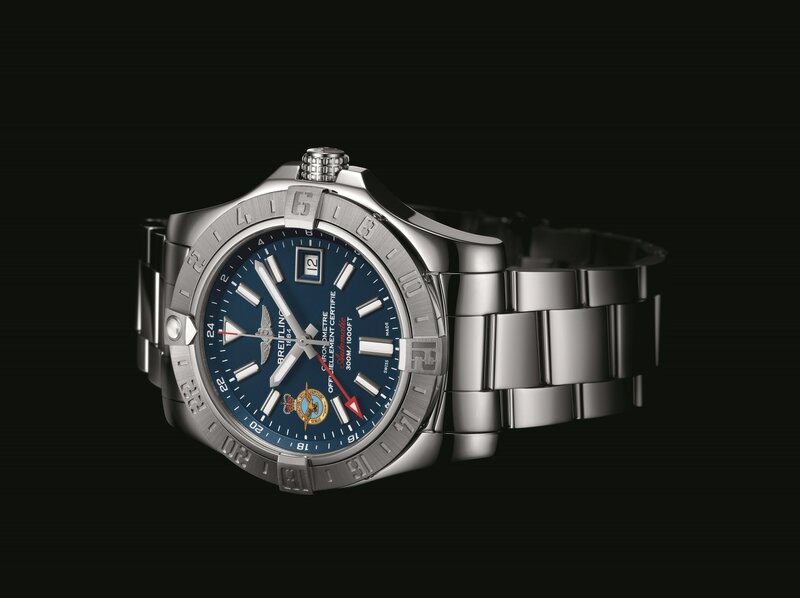 The embodiment of power in action, the RAF100 Avenger II GMT, limited to 1DD pieces, adopts a unique distinction, featuring the official Royal Air Force crest on the blue dial at 9 o’clock, completed with red GMT hand, and on the reverse of the case the commemorative RAF100 logo engraving. The Avenger II GMT stands out by its very practical 24-hour second time zone display, complemented by a bidirectional rotating bezel enabling a third time zone reading, ultra­ sturdy steel case water-resistant to 300 m [1,000 ft] and equipped with lateral reinforcements. The efficiency of the controls is guaranteed by a solid crown with a non-slip grip. 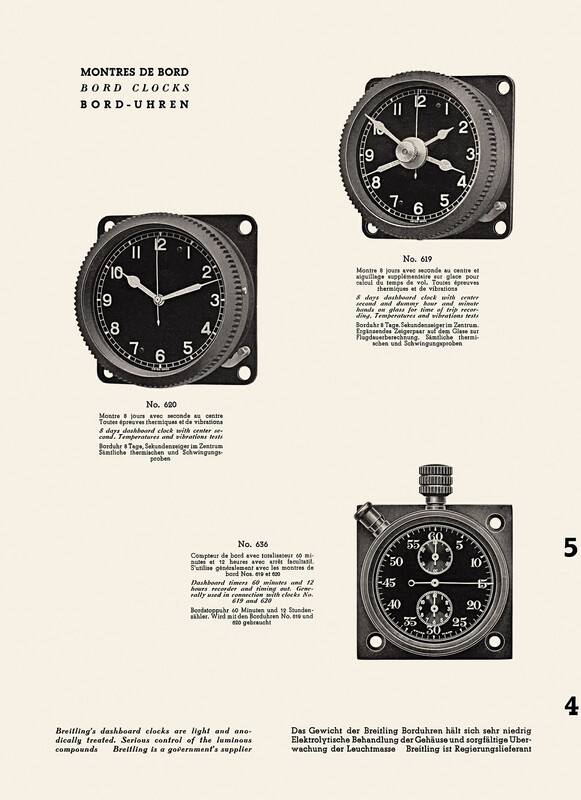 The aviation-inspired stencil-type numerals lend a technical and original touch of style. With its SuperQuartz'” movement, its analog and digital display as well as its simple and logical crown-operated control system, the Aerospace Eva has established itself as a paragon of functionality, performance and efficiency, dedicated to serving professionals since its original conception in 1985. The RAF100 Limited Edition model features a dial in ‘Mariner Blue’ adorned with the Royal Air Force logo at 9 o’clock, whilst the light and sturdy case is further decorated with the official mark of the RAF100 on the case back. Boasting functions useful for aviators: NVG­ compatible backlighting display [Night Vision Goggle], 11100th of a second chronograph, countdown timer, 2nd timezone, alarm, audible indication of the time [minute repeater] and calendar. The RAF100 Colt Skyracer, limited release of 100 pieces, designed with unique customisation and bearing the official Royal Air Force crest on the dial at 9 o’clock. High­ performance, efficient, ultra-reliable: the Colt has retained from its military roots all the qualities of an authentic instrument for professionals. 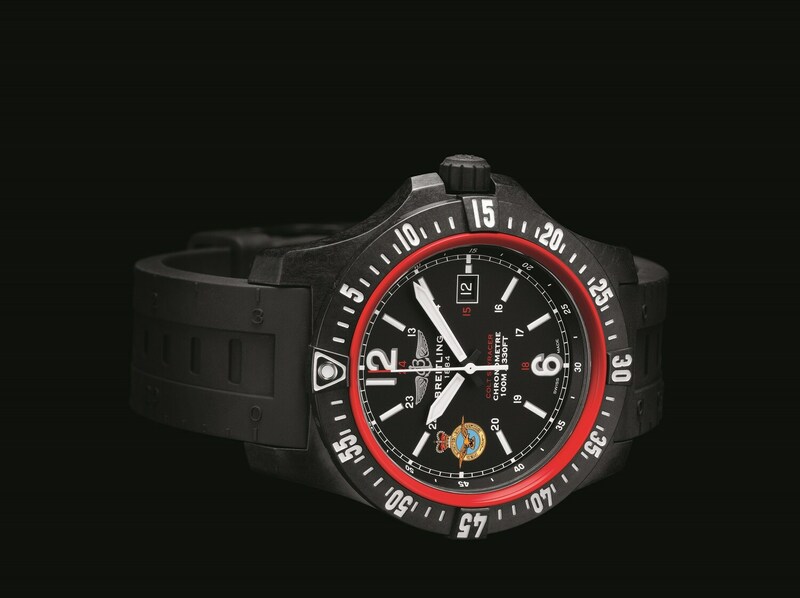 This exclusive variation dedicated to thrill-seekers features an avant-garde case in Breitlight® for an ultra-technical black and a specially customised red inner bezel ring to pay tribute to the Royal Air Force colours. Superior qualities such as anti-magnetic and anti-allergenic properties as well as exceptional resistance to scratches add to the functionality. The model further features the official anniversary emblem engraved in stand-out white on the case back. 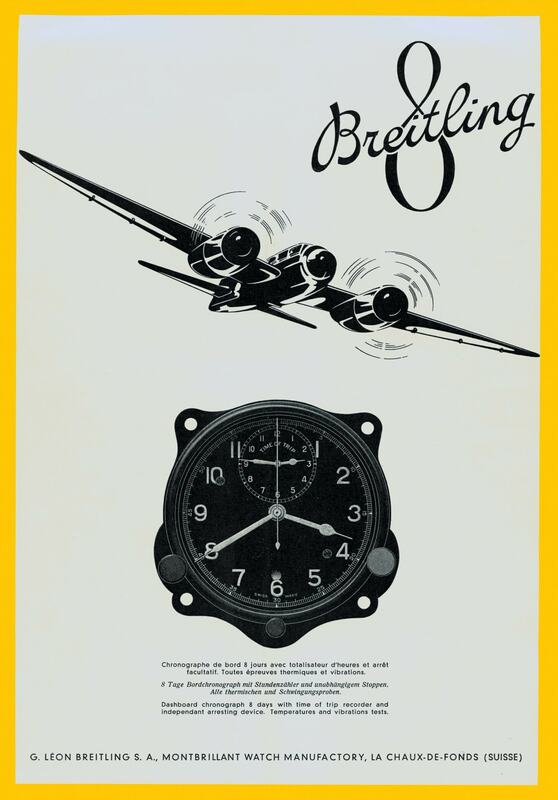 Each timepiece from the Series will be sold with a Limited Edition print from a work entitled ‘A century of Aircraft Propellers’ commissioned by Breitling to renowned contemporary aviation artist David Bent with each print framed, numbered and signed by the artist. The limited edition range will be available while stocks last at select Watches Of Switzerland stores, and you can buy Breitling online.